This puppy loves belly rubs! 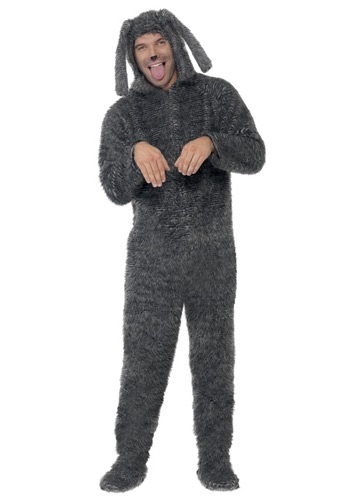 If you want to get the attention of all the hot chicks at the party, then cuddle up to them wearing this Adult Fluffy Dog Costume. You'll be everyone's favorite pooch because the soft fluffy jumpsuit is fun for everyone to pet. Now, throw this dog a bone and get ready for your night out on the town! This worked perfect, fit perfect, cute feet which have padded footsies on the bottom. Worn during a Christmas parade as part of our entry, very comfortable for the entire parade.